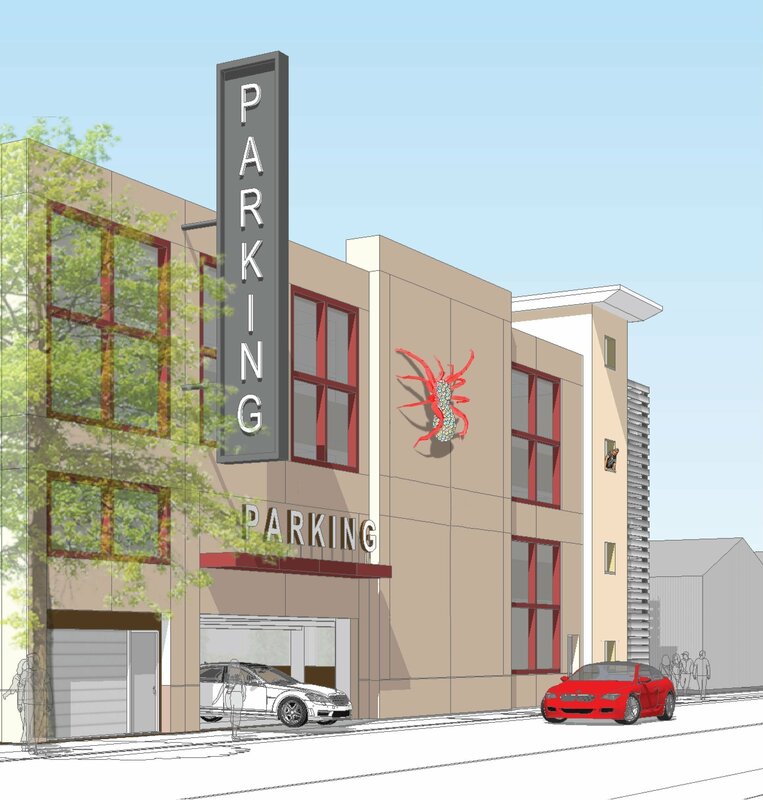 Gordon Huether Studio was invited to be part of a design and build team that submitted a proposal package in response to the City of Morgan Hill’s request for proposals for a planned parking garage on 4th Street in downtown. 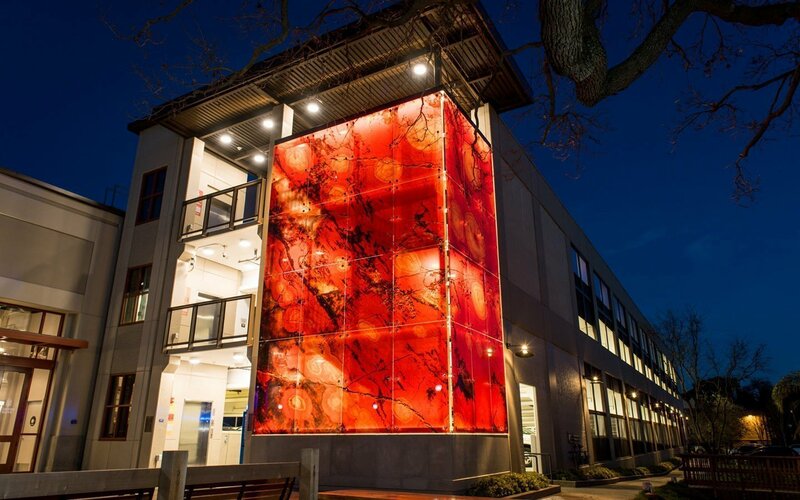 The design team, made up of F+H construction, WMB architects and Gordon Huether Studio, worked closely with the City of Morgan Hill to ensure a successful project outcome. 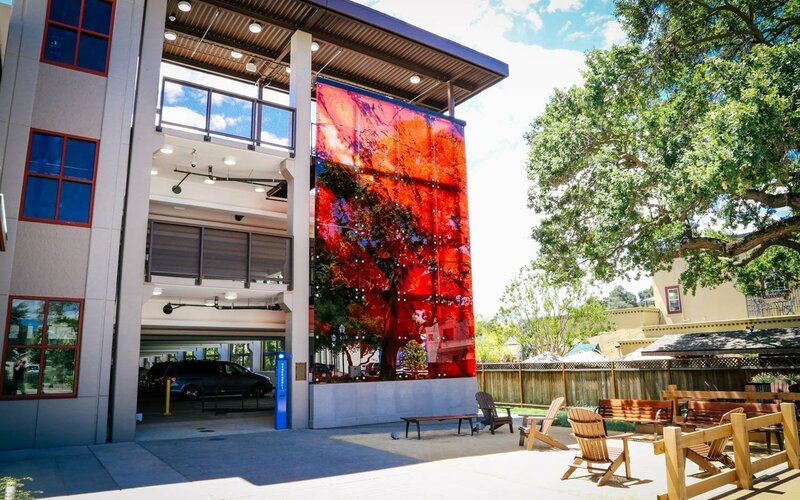 In 2015, the Morgan Hill City Council approved Gordon’s two public art installations, Tarantula and Poppy Jasper, which now beautifully embellish (or beautify) the new parking structure between Third and Fourth Street. 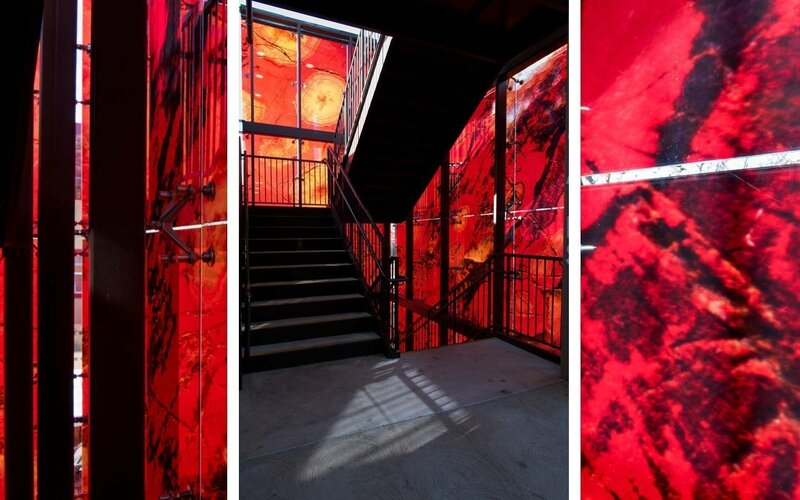 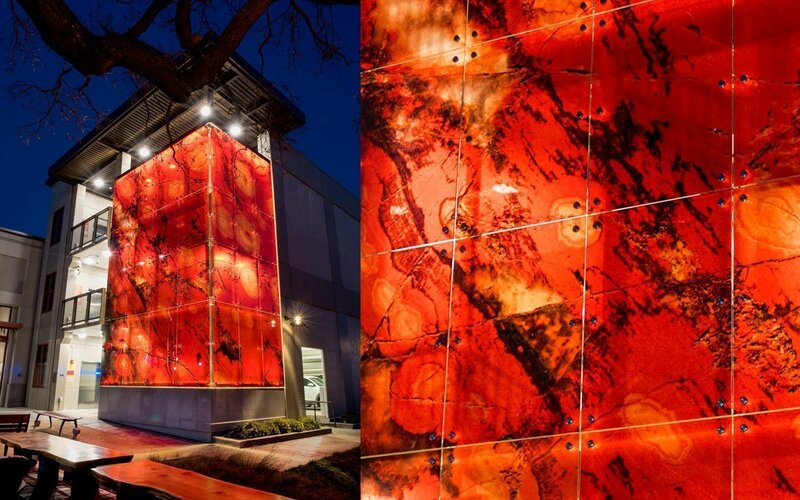 Poppy Jasper, Morgan Hill’s ubiquitous gemstone, was the inspiration for the translucent glass enclosure, wrapping around the parking structure’s stairwell. 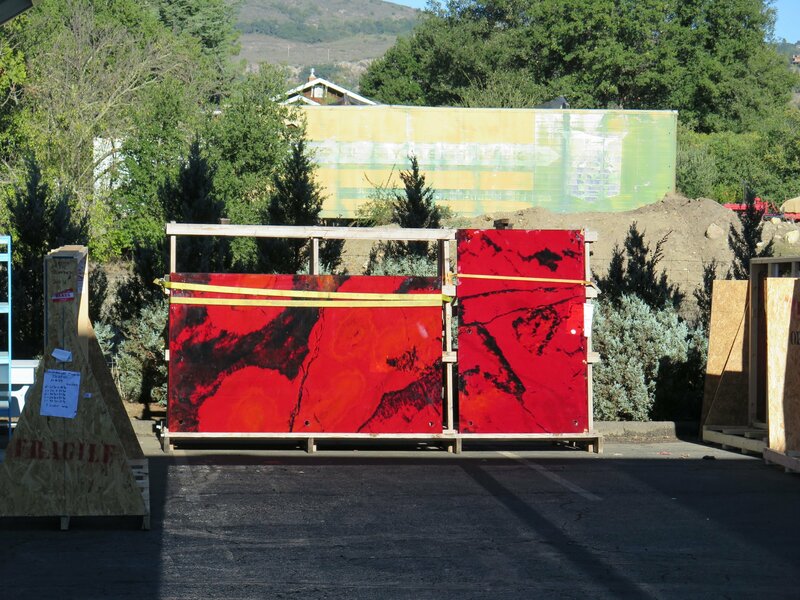 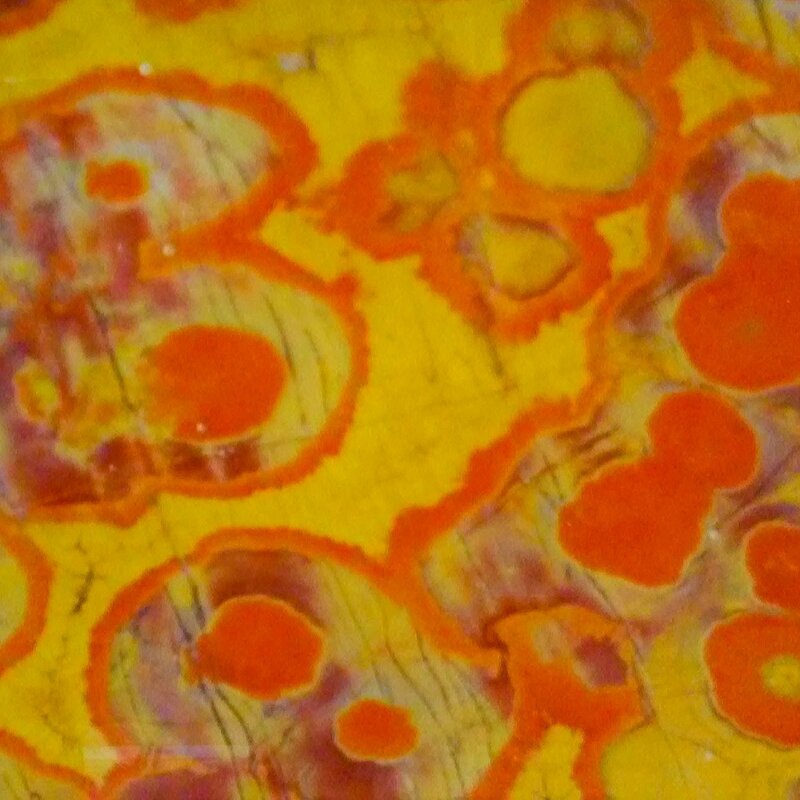 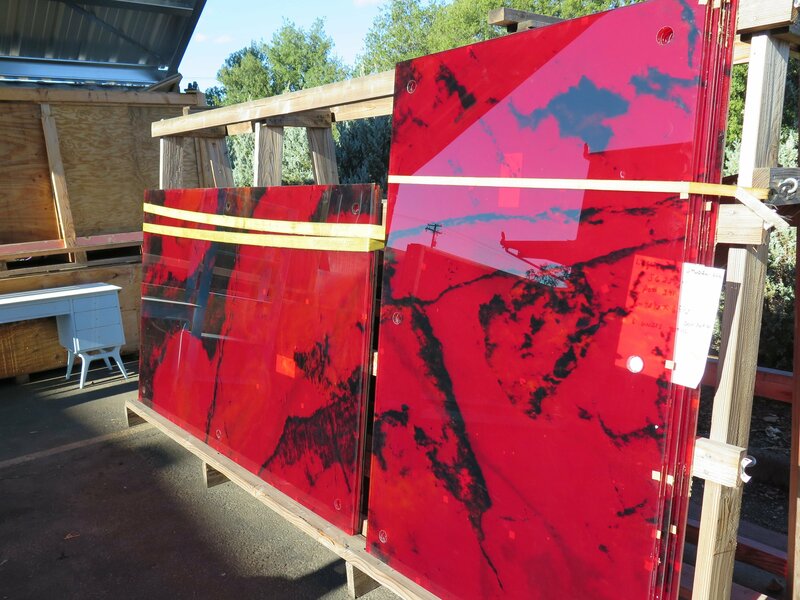 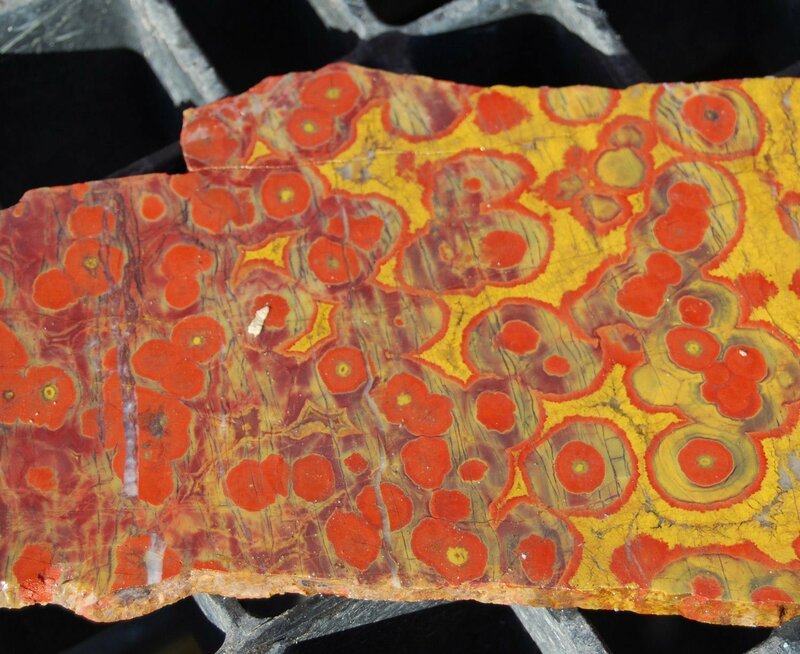 Facing the Third Street Plaza, Poppy Jasper features the vibrant reds, oranges and yellows of the gemstone that is said to have healing properties. 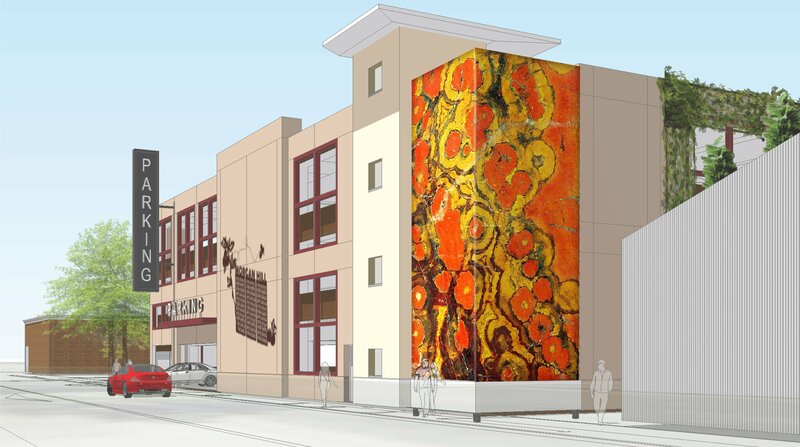 By celebrating this hometown gemstone, the artwork also promotes a strong local identity of the community of Morgan Hill. 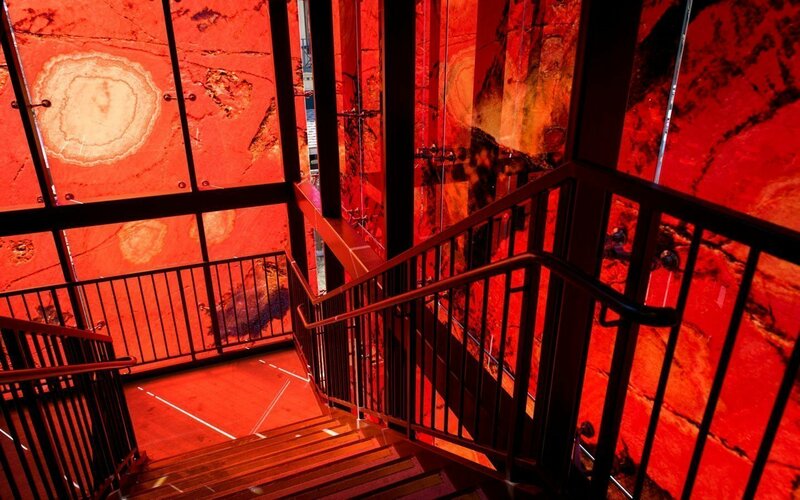 The stairwell is illuminated, which gives the Poppy Jasper installation a lantern-like glow at night. 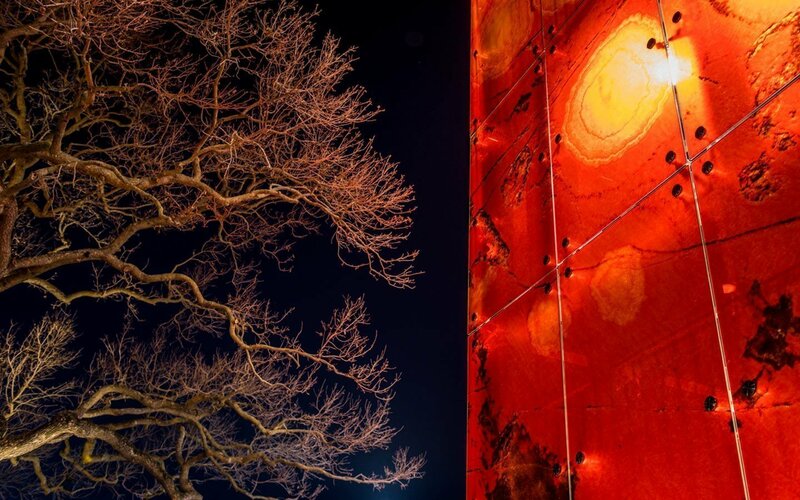 The artwork conveys joyful light and color as well as warm beauty. 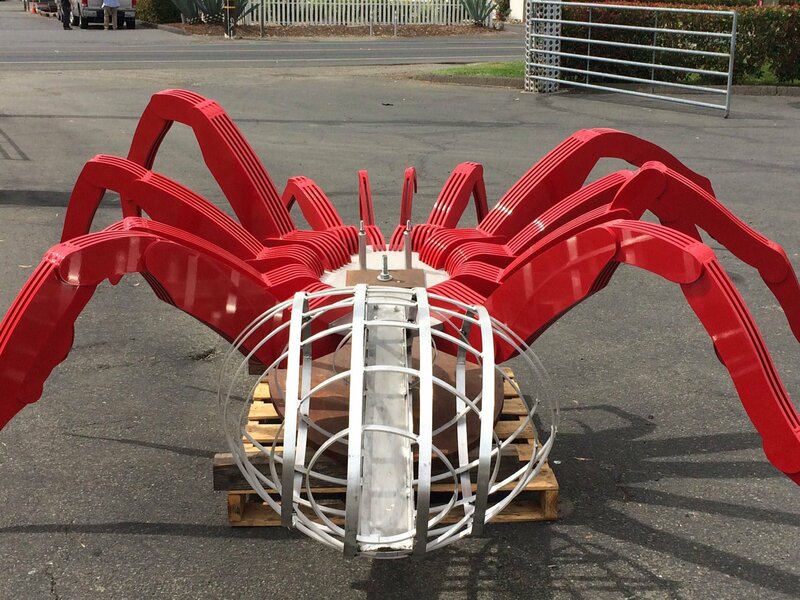 Tarantula, celebrates the annual migration of tarantulas to Morgan Hill that occurs every October. 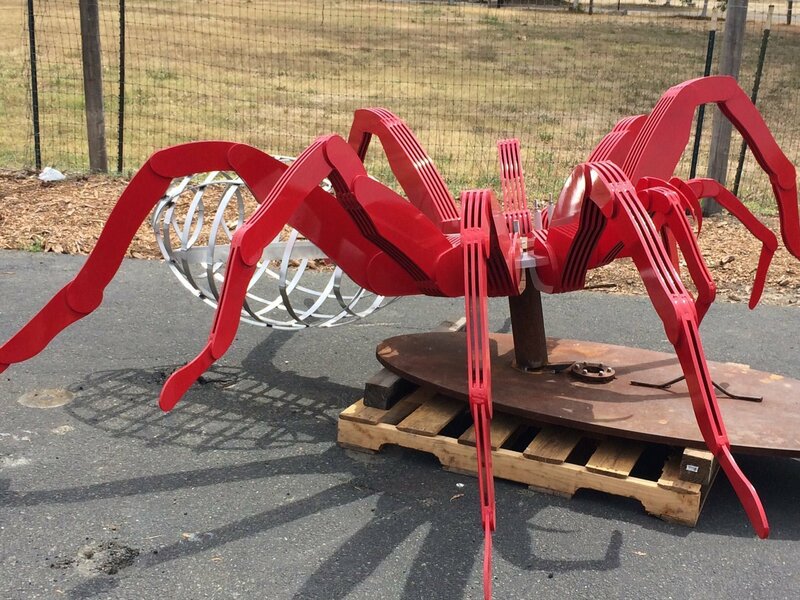 Each year this magnificent nature event is honored with a ‘Tarantula Festival’ at Henry Coe State Park. 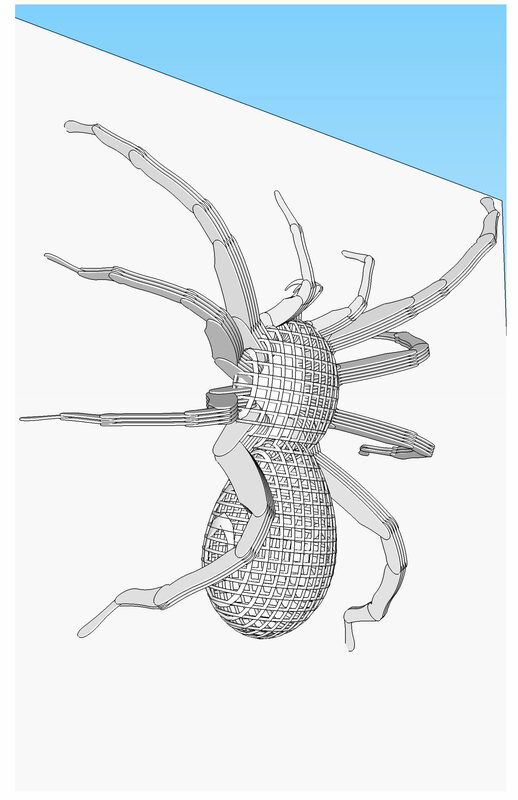 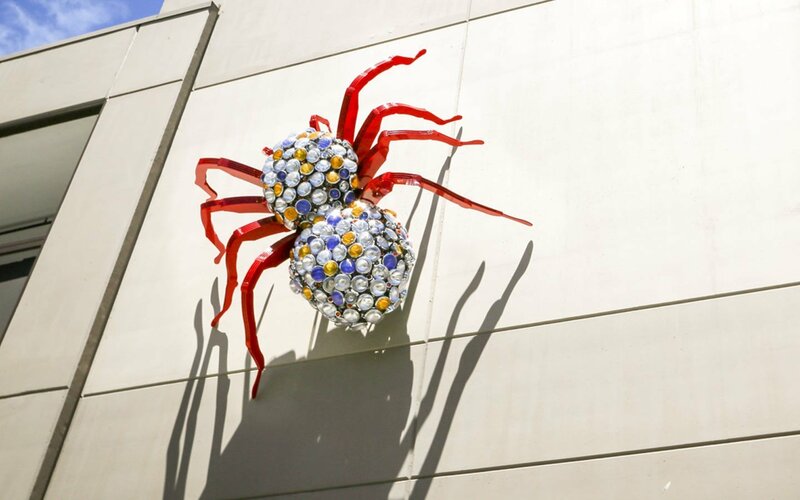 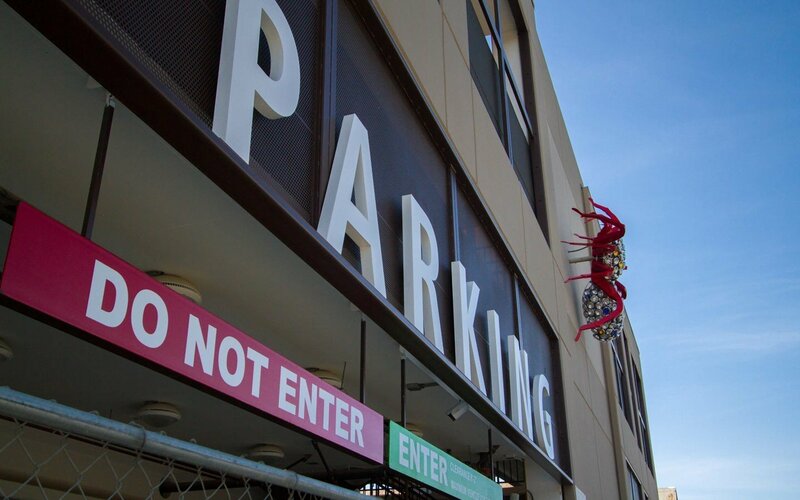 The Tarantula installation subverts the tarantula’s fearsome presence by reimagining it as a playful, three-dimensional arachnid crawling up the façade of the parking structure. 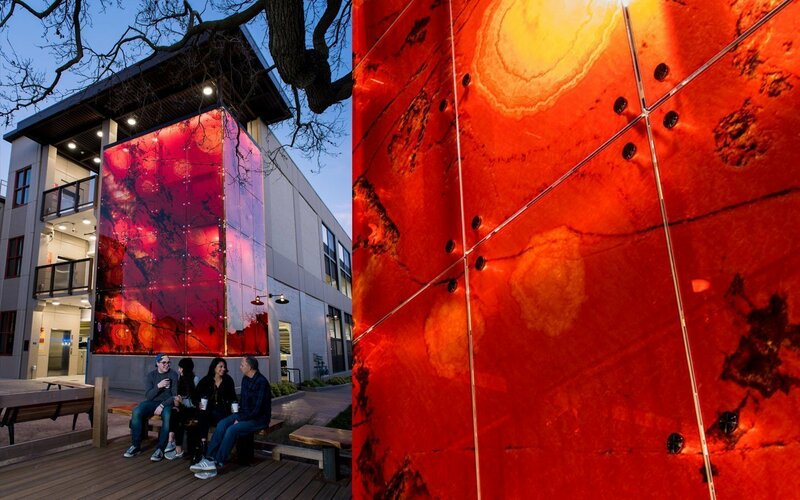 The installation also raises awareness about the delicate balance between nature and cityscape and incites visitors and locals alike to learn more about this Santa Clara County native. 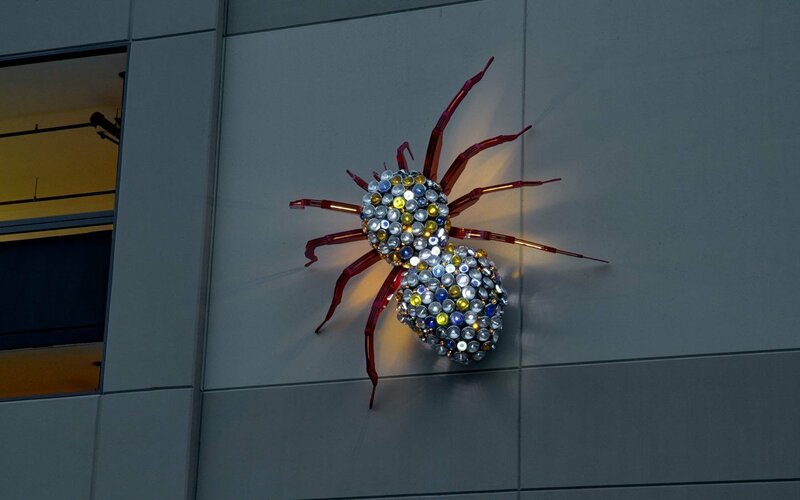 Tarantula is whimsical and cheerful and celebrates a unique natural phenomenon in a beautiful, remarkable and unique approach. 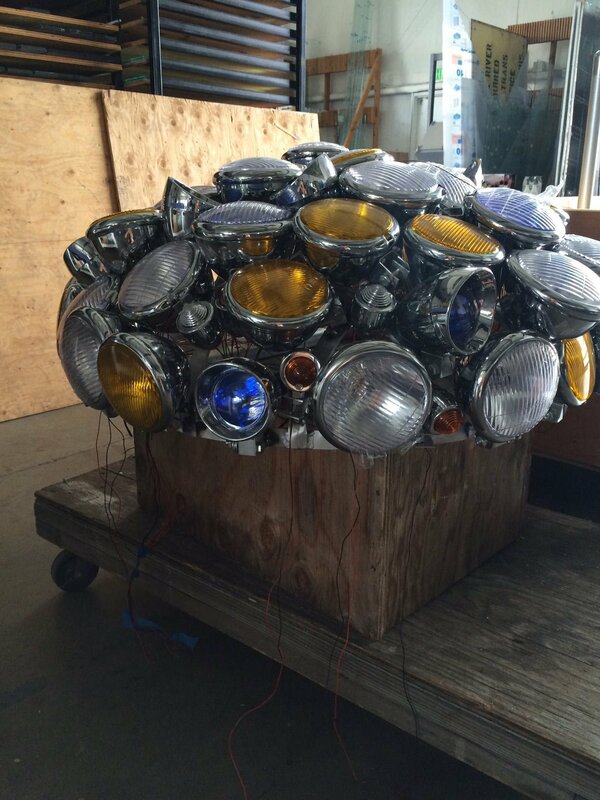 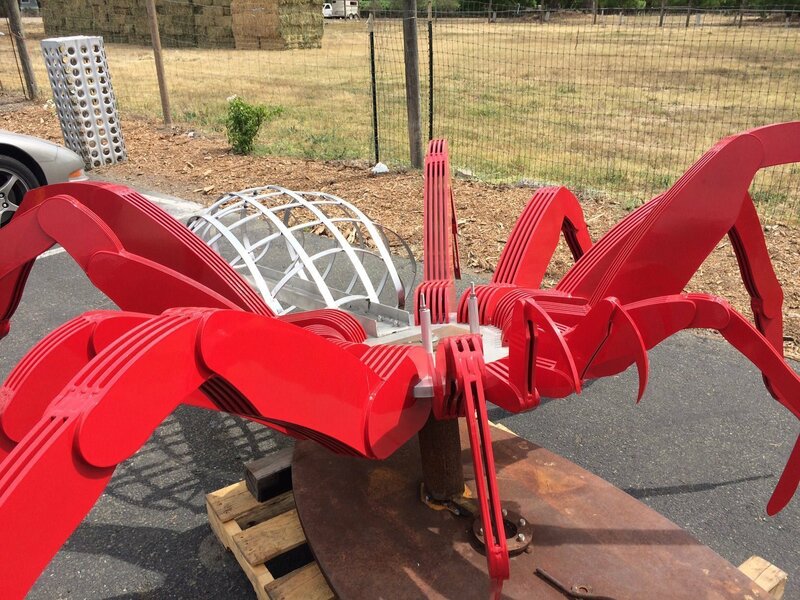 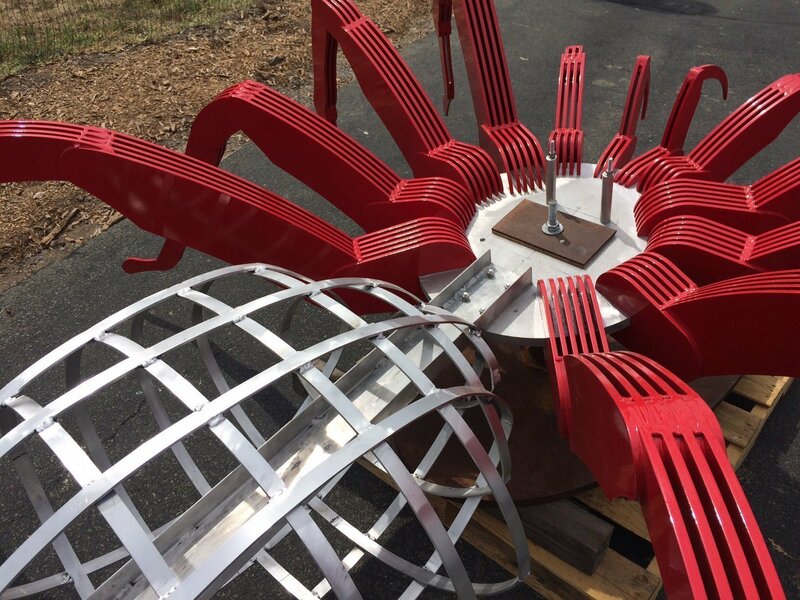 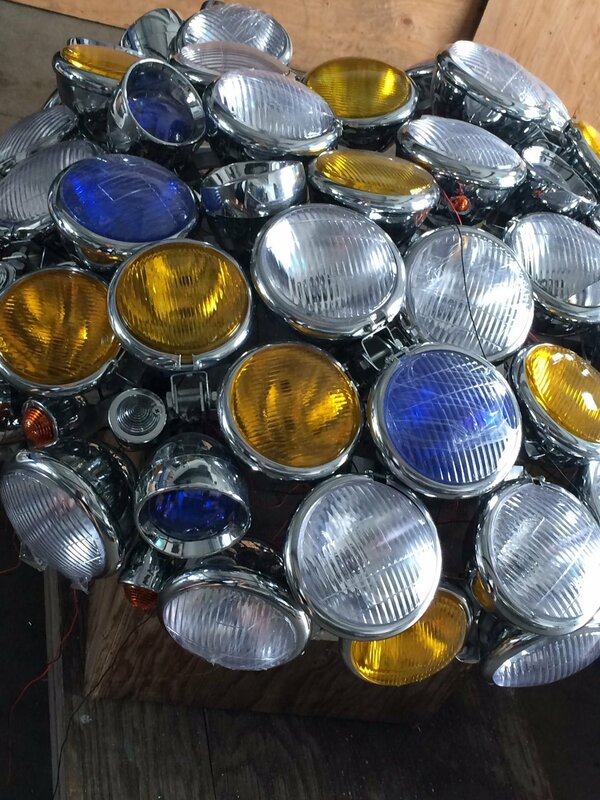 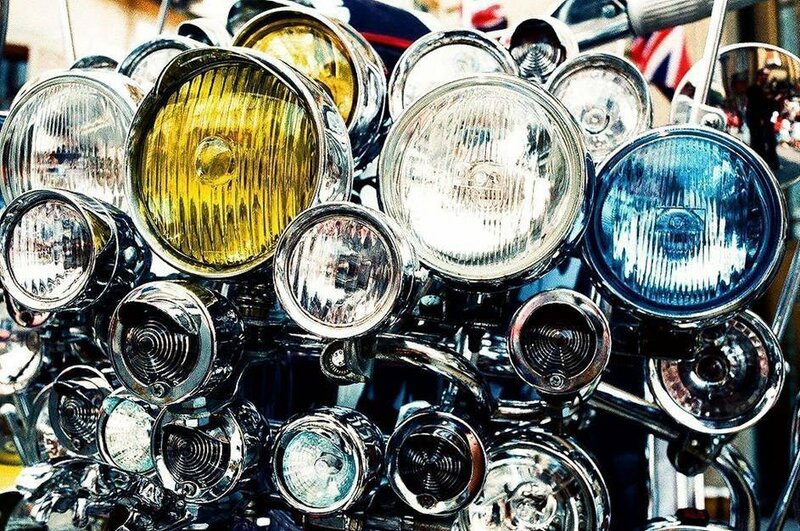 The installation is composed of hundreds of vintage automobile headlights for the spider’s body and is adjoined by eight vibrantly red, powder-coated, steel outstretched legs. 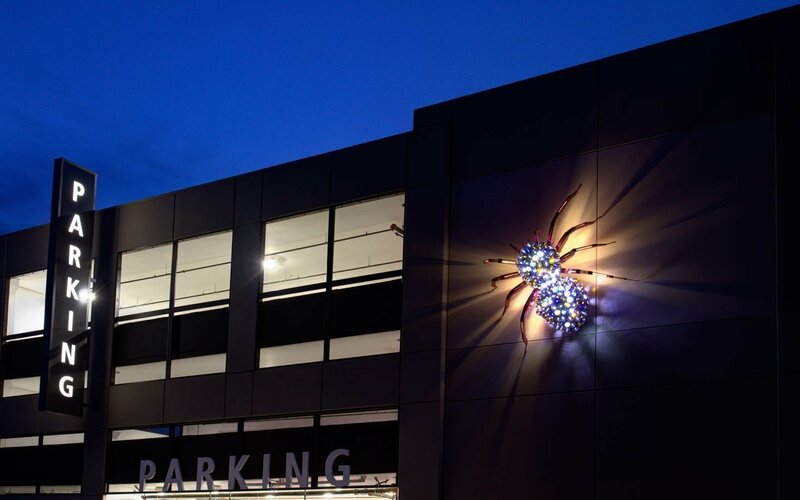 The Spider is an amusing addition to the parking structure and celebrates nature’s beauty through the artwork that radiates with light and color.